Norwex Microfiber allows you to clean without chemicals. Norwex Microfiber allows you to clean with just tap water at a great savings to you. Norwex Microfiber and water cleans thoroughly and deeply removing dirt, grease, and tiny particles off of surfaces. Cleaning without chemicals will benefit your health. The cleaning products on the shelves of stores are starting to be tested. The findings show that cleaning chemicals are disrupting our body chemistry. Our body can’t get rid of the chemicals and they build up in the body causing disease. Cleaning without chemicals is the answer. Norwex started with microfiber but has expanded in order to help reduce the use of harmful chemicals. 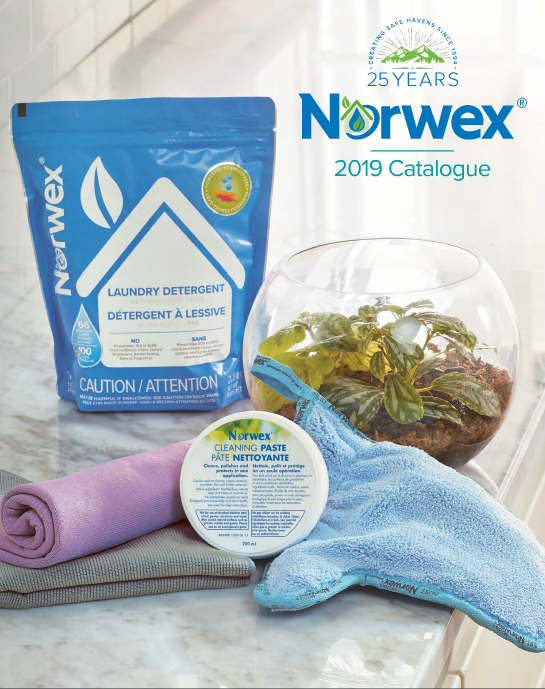 Norwex uses nature’s solution to nature’s odors and residue. Many of the environmentally gentle cleaning products from Norwex use microorganisms and enzymes found in nature. These products are chemical free cleaning solutions that tackle the toughest cleaning problems: drains, ovens, soap scum, and dust mite dander. Norwex is also keenly aware of the cleaning products we put directly on our skin. Norwex has developed a line of personal care products that contain only plant ingredients with no synthetic chemicals included. These products exceed world Organic Standards. 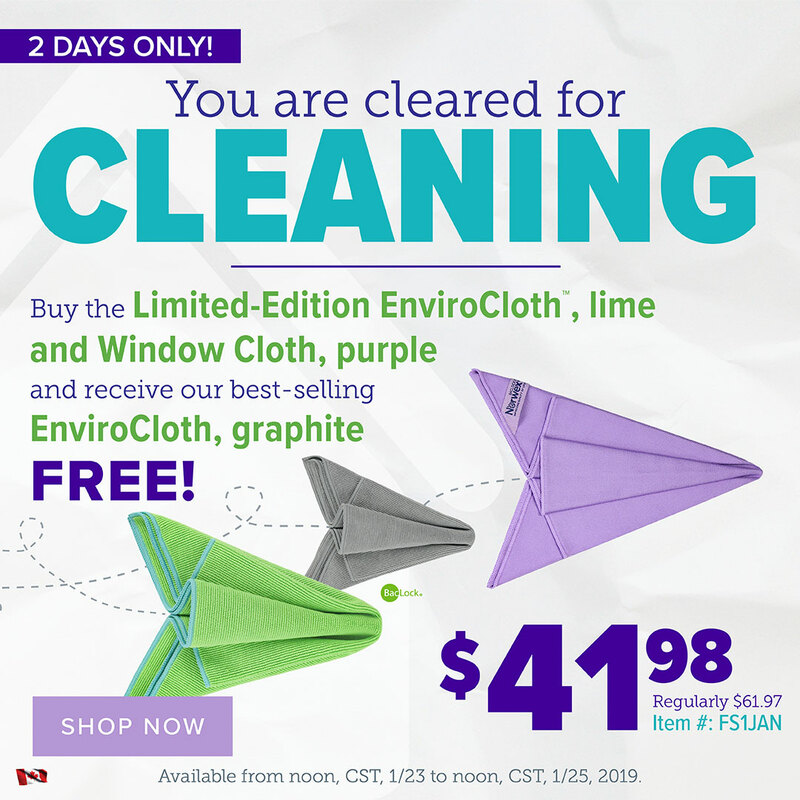 2019 Norwex Spring Cleaning Sale! 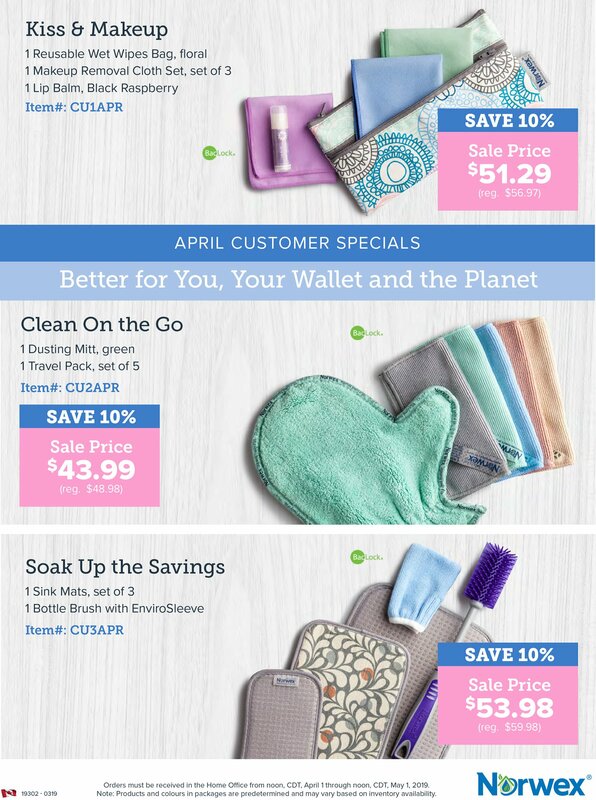 April 2019 Norwex Flash Sale! For April’s 2 day flash sale, you get a chenille hand towel with a pretty flower on it and a floral optic scarf for cleaning the screens of hand held devices. The savings are like having free shipping! 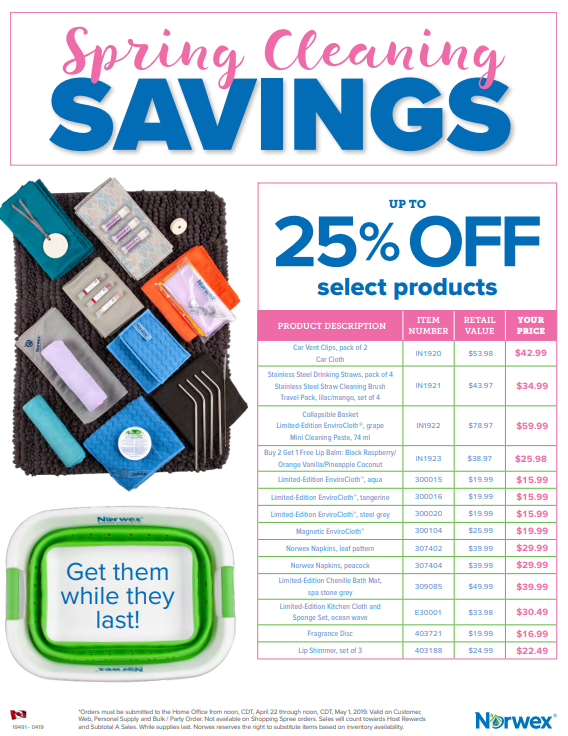 March 2019 Norwex Flash Sale! Ah, this colour reminds me of home. My parents had the avocado coloured fridge and stove. Makes me chuckle now to think about it. Spirisponges are fantastic! This new specials format is great! 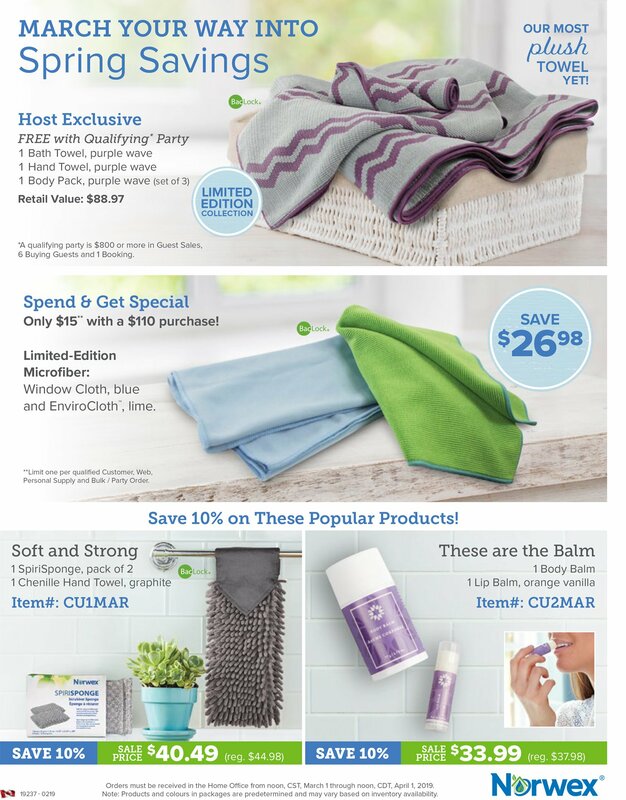 It includes the host exclusive, the Spend & Get, and the Customer Specials! Enjoy! I got the body balm today. It has a nice scent and is very nourishing for the skin. 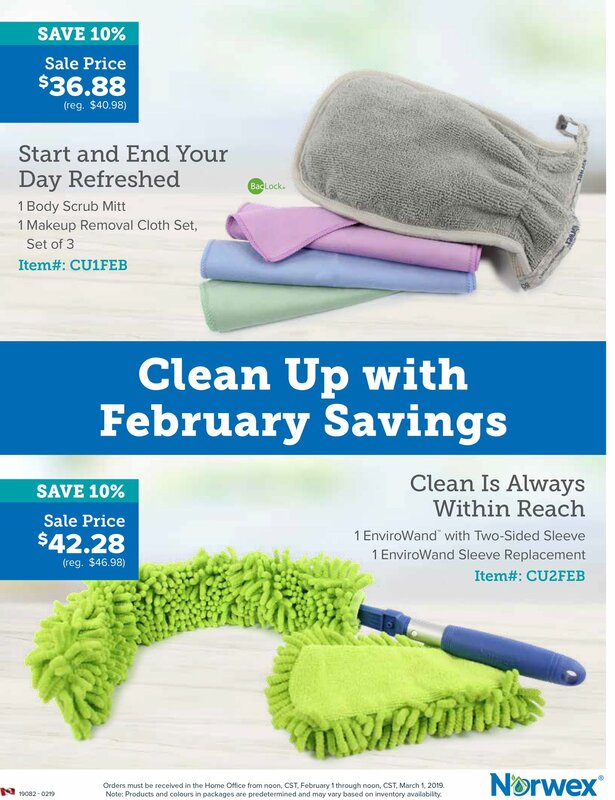 February 2019 Norwex Flash Sale! 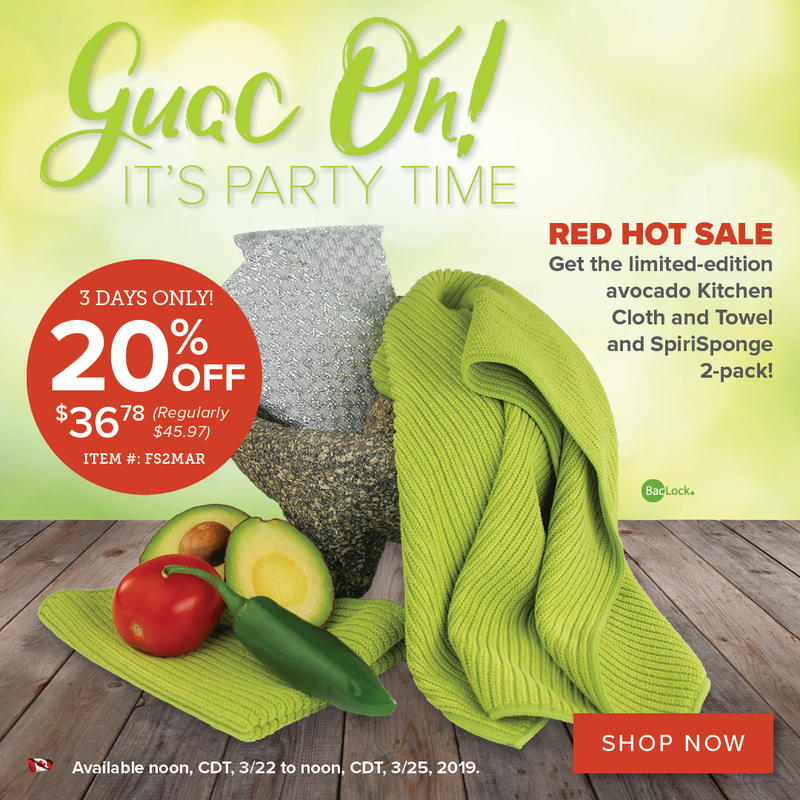 January 2019 Norwex Flash Sale! Welcome to a new year! 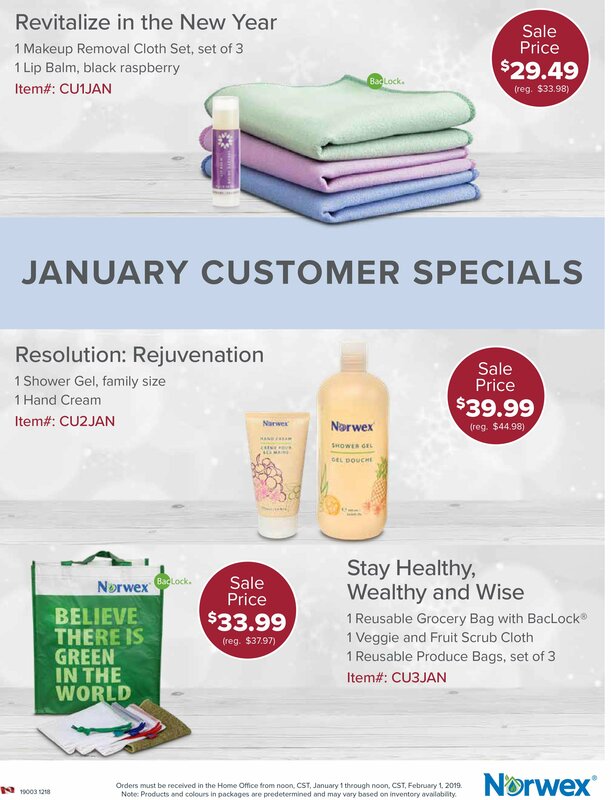 Here are the Norwex Customer specials for January 2019. 2019 Catalogue Products are now available! 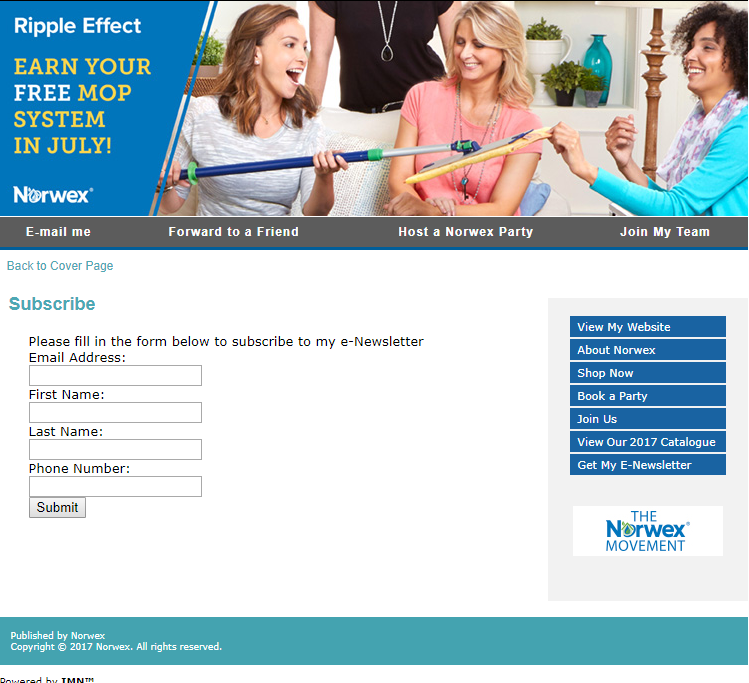 Click Picture to see this month's Customer Specials on my Norwex Retail Website. To share a post on facebook or twitter, click the Title of the post to take you to it's own page. At the bottom of the article are facebook and twitter share buttons. Come check out my testimonials post!